What is the current state of the agri-food tech landscape in Southeast Asia, and what initiatives are fostering this ecosystem? What is the role of government, accelerators and the industry in supporting and facilitating agri-food innovation? Where are the opportunities for partnerships? In which areas is agri-food innovation most needed in Southeast Asia and how are industry leaders targeting these priorities? What lessons in fostering agri-food innovation can be learned from international accelerators and incubators, and what potential is there for collaboration? What innovative technology solutions are regional agribusinesses developing to empower smallholders to achieve higher yields and greater sustainability for their crops? In traditional farming populations, what approaches have been successful when developing and marketing farm management solutions to encourage widespread adoption? 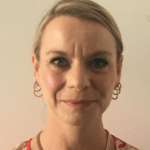 How far are challenges in telecoms connectivity limiting the uptake of decision support tech, and what solutions are being developed to address these? What investment is needed and where to help expand and speed up the availability, affordability and widespread adoption of these products? How are drones, by themselves as well as in combination with satellites and/or sensors, being successfully used by both large-scale plantations and smallholder farmers to allow more precise and efficient use of fertilisers, pesticides and water? The average size of farm in southeast Asia is less than two hectares. In what ways does this change and limit the tech solutions that can be applied for precision farming, and what innovation is taking place to tailor hardware and software to smallholders? What innovative solutions are being deployed to manage security issues surrounding remote sensing equipment such as sensors? How are regulations on drone flying and automated spraying limiting their usage for precision farming, and how can these limitations being overcome? 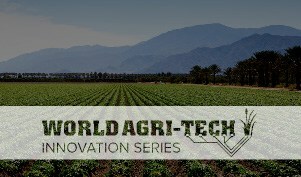 Four start-ups present their ag technology solutions in seven-minute pitches to a panel of investors and the summit audience. Climate change is causing increased CO₂ levels, drought, flooding, and salination in Southeast Asia. 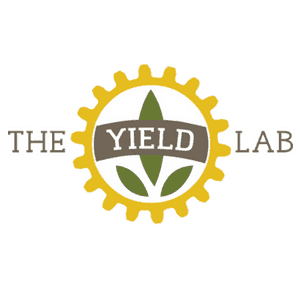 How are crops being developed and adapted to withstand these climate changes and provide higher-yield, more nutritious crops? How can collaboration between researchers and agribusinesses speed up the development of these more nutritious and resilient food crops, and what is needed to facilitate this? As well as gene editing, how can speed breeding technologies via indoor farming contribute to the advancement of these crops? What investment is needed to bring these crops to market sooner and improve their affordability for the regional population? Given the increasing affordability of gene editing technologies, what new innovations are now able to take place and what benefit will this offer farmers in Southeast Asia? What investment and collaboration are needed to further facilitate the use of crops optimised through gene-editing? What is the predicted receptibility of Southeast Asian markets to gene-edited crops, and how is the industry looking to reconcile any potential customer distrust? To prevent and better manage food fraud and safety issues, and to meet increasing demand from customers to know the origins of their food, food and ag businesses need greater visibility over their entire supply chain. What innovative technologies are emerging, locally and globally, to allow supply chain transparency and traceability? With many supply chains fragmented and inefficient, how can technology be used to simplify supply chains to empower smallholder farmers to achieve better market prices as well as improve efficiency for agribusinesses? How can agri-food businesses overcome the challenges to supply chain transparency and traceability, such as ensuring compliance by every organisation along the chain? How will packaging systems be altered? What investment is needed and where to bring these innovative technologies to the market quicker? Blockchain Technology: Where will it Deliver Greatest Value to the Agri-Food Industry? What is the potential of blockchain in achieving supply chain transparency and traceability? How can blockchain be made cost-effective in the agri-food industry? What financial models have been successful? How are companies using this technology effectively? 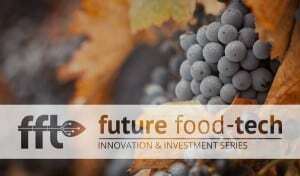 Investor Debate – What are the Leading Agri-Food Investors Looking For? 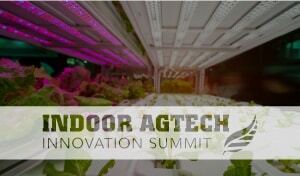 Which areas of agri-food technology are today’s most active investors most excited about? Which technologies have the potential to gain early traction in Southeast Asia and potentially leapfrog other parts of the world? What are the challenges of applying international solutions to Southeast Asia, and how can investors work with start-ups to successfully adapt and translate their ideas and models? How can early-stage tech solutions in Southeast Asia be de-risked effectively, and made scalable and profitable? What are the opportunities for partnerships in this? Given that agri-food tech investments tend to draw an initially slower rate of return than tech investments in general, how can the industry achieve smart and sustainable investment and avoid a “bubble”?